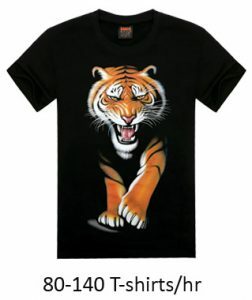 AURA is proud to introduce new series of T-shirt Printers. 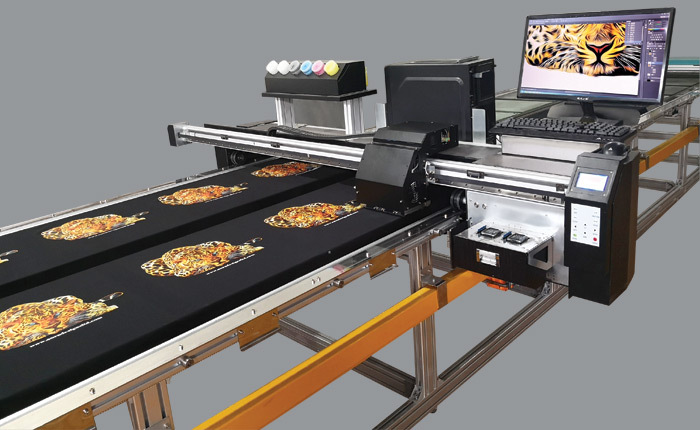 This printer is a perfect solution for printing on T-shirts / Panels with Pigment inks. It works on white, light, as well as dark base. The biggest challenge faced by DTG printers is the white ink itself. The white ink always causes problems for printhead clogging and consistency of prints. The cost of digital white inks also makes it more expensive for the operational cost. The smaller printer available in markets do not give enough production, and the bigger ones are too expensive and complicated to operate. To overcome all these issues; we have come up with “SMART”. This printer combines the format of screen and digital printing; reducing printing cost and making use of white ink possible by screen. “SMART” uses a special software and sensor technology which makes the registration easy and can print multiple copies without ripping the designs again and again.